AAA Public Adjuster Philadelphia. Serving Pennsylvania Residents & Businesses. AAA Public Adjuster Philadelphia. Serving Pennsylvania Residents & Businesses. We maximize property claim settlements while saving you money, in addition we offer great service, return phone calls, and are only a phone call away. We are your Public Adjuster of Philly. At AAA Public Adjusters, our goal is to ensure the insurance company pays you – the policyholder – enough money to rebuild any and all property damage sustained to your home or business while providing the highest level of professional service. Our independent public insurance adjusters & claims staff will help homeowners and business owners manage their property claims by fully document their losses in order to maximize their financial settlement. Our goal is to reduce the emotional and financial burden placed upon you as the result of damage to your personal and real property. Public Adjuster Philadelphia AAA Public Adjusters LLC is dedicated to addressing all of your property damage insurance claim needs as your public adjuster. Each property loss or insurance claim is unique and AAA Public Adjusters, your Public Adjuster of Philadelphia, will work diligently to determine the extent of your loss. Have you had an insurance loss in the last year and have not yet filed an insurance claim? Give us a call today for your free consultation. We’ll discuss the claim with you, and whether it makes sense to use our services. We may also decide it’s best to come to the property and do an inspection of the loss, which is also free. The earlier you contact AAA Public Adjusters regarding a free consultation of your insurance claim, the more likely we can get a better result for you. Among other things, a homeowner or business policyholder has the duty to mitigate property damage and prepare a scope of loss & estimate of damages. Our highly trained, licensed independent public insurance adjusters will guide you through the process of preparing and filing an insurance claim in a professional manner. Similar to how you would hire an attorney if you needed to go to court, or hire a certified public accountant to file your tax return, you should only file an insurance claim with your own professional insurance and construction expert – a AAA Public Adjuster. AAA Public Adjusters can intervene on your behalf at any point during the claims process and see to it that your claim gets resolved promptly. We work directly with your insurance company and its representatives to make sure they give your claim the attention it deserves. Our team of public adjusters – insurance and construction experts – advocates on behalf of your interest under the insurance policy and will not quit until you get the benefits to which you are entitled. If you have received an offer for your insurance claim, we can take over from here. 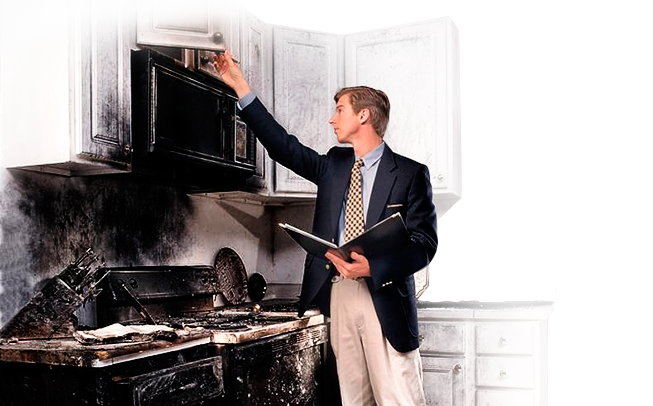 We document and cross-reference every aspect of your property damage or loss and usually find many things that were not originally included and other things that were not properly valued. Insurance Claim Adjusters are often very busy, have a vested interest in lowering property claim payments (i.e., to increase their own company’s bottom line), and sometimes overlook certain areas that can inadvertently reduce an insurance claim. We consistently deliver superior results for our clients. With the application of these items, among others, AAA Public Adjusters can get thousands, or tens of thousands, more than your initial offer. Our services are free until you are paid by your insurance company. If you have suffered a catastrophic property loss, we know how difficult these times can be for you and your loved ones. We have a team of support specialists who will assist you during this difficult time. You can rest assured knowing that when AAA Public Adjusters of Philly is on your side, you’ll get the results you are entitled to under your insurance policy. 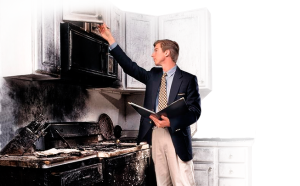 Our highly trained, licensed independent public insurance claims adjusters will guide you through the process of preparing and filing an insurance claim in a professional manner. Similar to how you would hire an attorney if you needed to go to court, or hire a certified public accountant to file your tax return, you should only file an insurance claim with your own professional insurance and construction expert – a AAA Public Adjuster. Even though your claim has been settled, you may still be entitled to additional benefits. Insurance companies often times fail to properly determine the extent of losses in an insurance claim, rendering a claim evaluation that is lower in value than what policyholders ought to be paid. AAA Public Adjusters will take a look at your loss settlement for free and determine if you are owed more than your settlement offer. We have successfully handled hundreds of insurance claims in Philly and surrounding areas that carriers had already closed, and in many cases, we found benefits not assessed in the original evaluation. It would be in your best interest to see if we can do the same for you. Pennsylvania has very good laws that usually allow you to re−open an insurance claim if you were not fully compensated. We offer a Free Consultation. We are paid only if we find areas of underpayment and/or items that were left out of your insurance claim settlement. Get started on your free online policy review or call us toll free if you would prefer at 1.800.410.5054. We serve Philly, as well as Bucks, Chester, Berks, Delaware, and Montgomery counties. Insurance companies routinely reject insurance claims that courts later compel them to pay out. Having your insurance claim denied is not the end of the road. There is hope. In Pennsylvania, if your denial was less than one year ago, AAA Public Adjusters can evaluate your loss for free and determine if the denial you received was fair. In many cases, we have found that a denial issued by the insurance company was in error. Our adjusters have went on to assist the insured secure the benefits they were entitled to under their policy. We may be able to do the same for you. We have reviewed numerous insurance claim denials and have found coverage for many of them. If, however, we believe that the insurance company interpreted and applied the terms of policy fairly, we will advise you accordingly. Many times a denial of coverage hinges on ambiguity in the cause of loss, a perceived substantial delay in reporting the loss, or perhaps a failure to mitigate further damages to the premises. Insurance companies hire their own adjusters to evaluate a potential insurance loss with their own financial interests in mind. Make sure you have a licensed and independent property insurance claims & construction expert – a AAA Public Adjuster – on your side. Let AAA Public Adjusters get you the maximum return on your insurance claim! See how we can help. To start a new claim, call 1.800.410.5054 today for a free inspection and policy examination from our Public Adjusters. Contact AAA Public Adjusters. The Leading Public Adjuster Firm in the United States. Largest in the Tristate Region.